When selecting a company to provide safety, be sure to make qualifications your first consideration. We are able to provide highly qualified Handler/K9 teams for high profile IED sweeps. From the Prime minister of Israel to the Aga Khan to the Pasadena Rose Parade, we have the experience it takes to keep people safe. 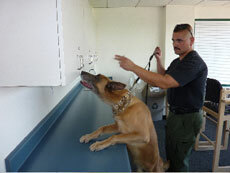 Our certified K9 teams are qualified to provide the skills and qualifications needed for the job. We offer teams available to be contracted on a short or long term basis as needed. So. Pasadena P.D. trained by Mike Herstik, security sweep at the Rose Bowl. 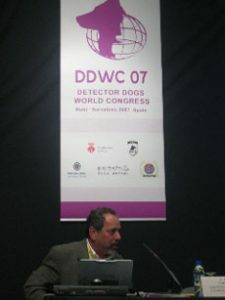 Available as a qualified security consultant to both private and public agencies worldwide, Mr. Herstik, in collaboration with Israeli Ministry of Security, was responsible for designing a protocol for the effective application of K9 teams for the bus stations. This was a major component in successfully mitigating the terrorist attacks on the Israeli bus lines during the time period of 2003 – 2004. Enhancement and remediation of existing K9 programs. Effective application and deployment of K9 teams in high threat scenarios. Utilized by the IDF, Mr. Herstik was responsible for initiating a stand off program with the U.S. Marine Corps. Post blast 2nd and 3rd device – Realistic scenario based training. This training version used by the Israeli National and border Police K9 teams. Suicide bomber protocols – Mitigation methodology and protocols for K9. A collaboration of K9 and established tactical protocols. 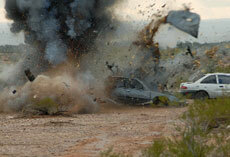 VBIED detonation for post blast, 2nd and 3rd device training, This specific training scenario was held with AZ DPS February 2007. Click here to see article.